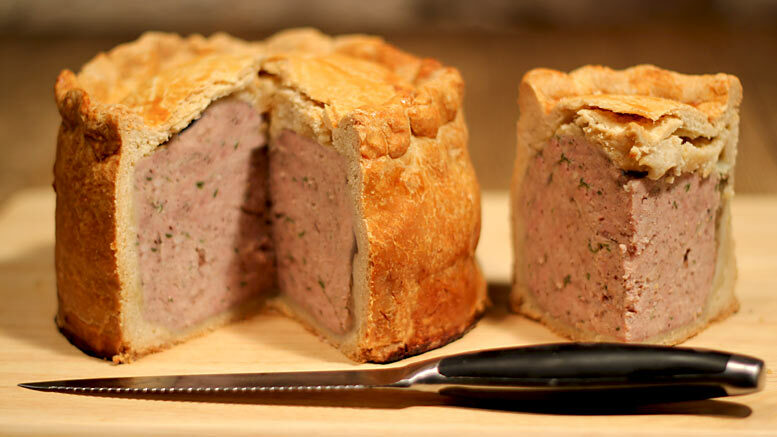 This is a one of the most traditional and best tasting of all the hand-made Pork Pie recipes that you can make; from start to finish this pie upholds the traditions of authentic Farmhouse Cooking and the skills of the earliest hand-made Commercial pork pies sold in the 1800s and early 1900s. This Pork Pie uses only traditional herbs and spices, giving the pie filling a lovely depth and maturity of flavour, a quality missing in many of the modern shop-bought pies. This traditional hand-made pork pie has all the right ingredients to make what amounts to a ‘proper’ pork pie which tastes superb. The flavours in the pie filling have a slight herby-bitterness, from the sage, and a sweetness from the dense pork meat, all brought together by the wonderful savoury ‘earthiness’ of the hot-water crust pastry. To make the pastry sieve the flour into a large mixing bowl with the salt. Put the lard and milk into a saucepan with the water, then heat until the lard has completely melted. Pour this hot liquid into the flour and beat together with a wooden spoon until combined, forming a soft, pliable ball of dough. Leave to cool while you make the pie filling, but during this time come back to it and knead it between your hands once or twice. This pastry must be used whilst still room temperature, otherwise it will become brittle and hard. Tip the minced shoulder of pork, the minced belly pork, and the chopped herbs and spices into a large bowl. Season with the salt and pepper. Mix well with your hands and between your fingers until the meat pie filling is completely combined. Roll the meat filling up into a ball and leave in the bowl. Pinch off a third of the pastry and reserve for the pie lid. Using a rolling pin roll out two-thirds of the pastry on a lightly floured surface to a circle around 3mm to 4mm thick and around 20cm in diameter. You can now either had-raise the pie pastry up around a ‘pie dolly’ or down over the base of a jam jar. 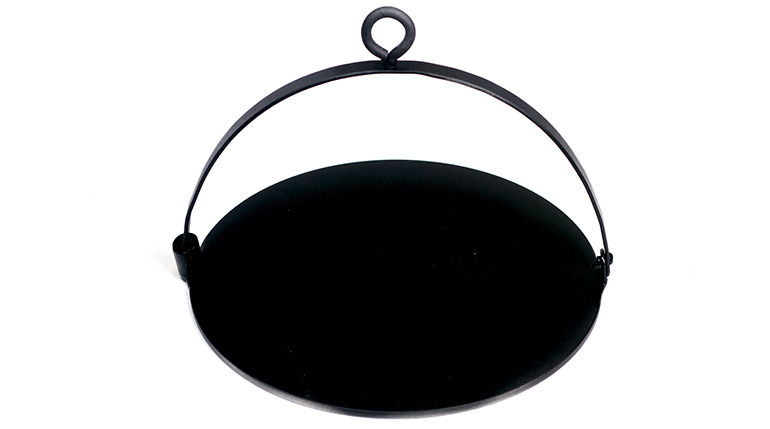 Place a straight-sided wide-bottomed jam jar which has been floured upside down (or use a ‘pie dolly’, or similar) – place the pastry over the base of the jar in the centre and mould the pastry down around it into a pie case shape with sides about 6 or 7 cm long. Leave the pastry to set around the jar for around 10 minutes in the fridge, then gently ease it off, use a palette knife if necessary. Take the Traditional Pork Pie filling and make it into a ball. Pack the meat mixture into the pastry base, coming just under the top. Take the remaining pastry to make a lid for the pie. 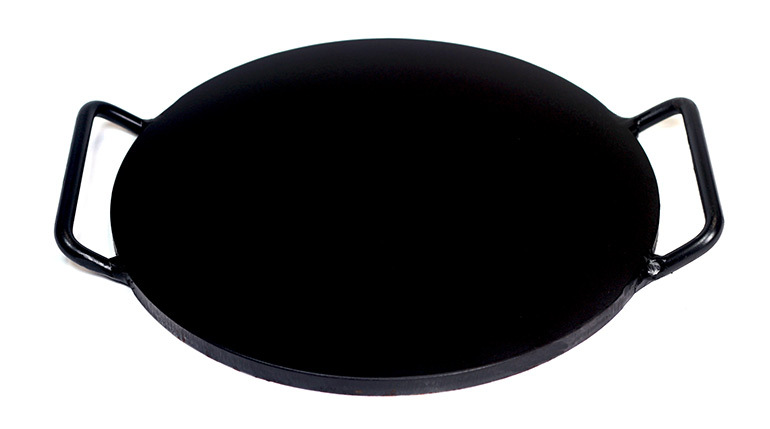 Roll it out on the floured work surface into a disc big enough to fit as a pie lid. Use some of the beaten egg yolk to brush the lid and the top of the pie base. 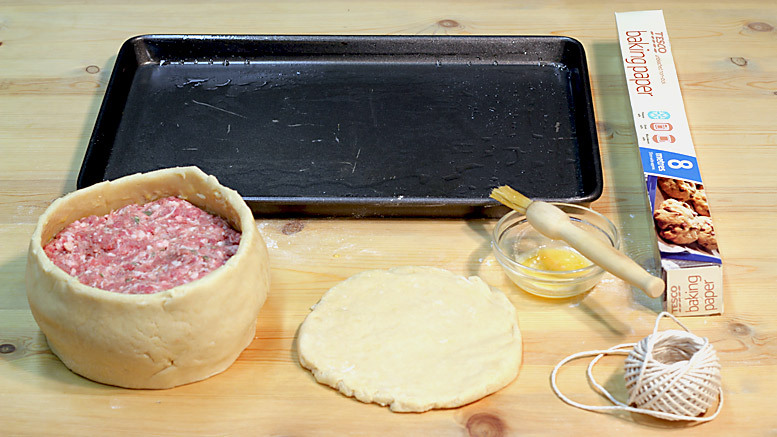 Place the pastry lid over the meat filling and press the edges together tightly to seal – crimp the two together firmly between finger and thumb. 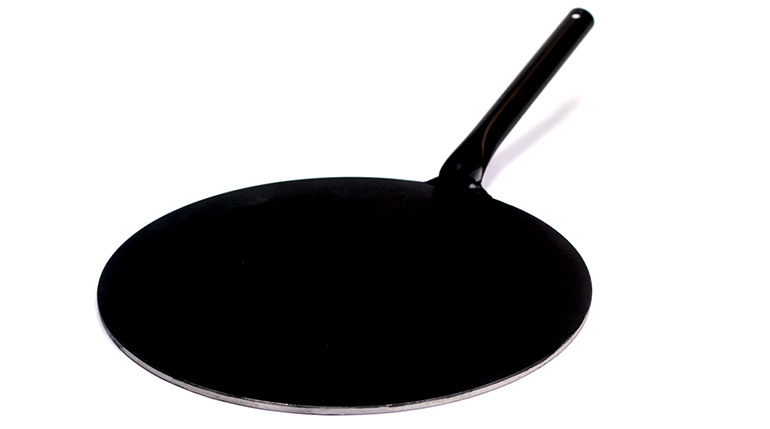 Brush the pie top generously with the beaten egg yolk and make a steam hole in the centre of the pie pastry lid. The stock to make the jelly will be poured in through this hole after the pie is baked. Fold in half a long sheet of baking parchment so that it becomes a double thickness, wrap this twice around the pie tightly so the pie stands up straight and is no longer bowed out in shape. Use three pieces of string to tie the baking parchment around the pie tight to help keep its shape when baking. Unlike the Melton Mowbray Pie, with its traditional hand raised shape, which sinks a little in baking, this will be a taller, straighter pie, supported while it is cooking, and typical of other regions. This pie can be now be baked straight away, or it is recommended that the pie be covered and placed in the fridge overnight to be baked the next day. Preheat the oven to 200C. Place the pie on a baking sheet (to catch any liquid from the pie as it bakes) and bake for 30 minutes at 200C. Then lower the heat to 160C and continue to cook for another 2 hours. After an two hours pull the pie out of the oven and leave to cool. Once the pie has cooled to a room temperature slowly pour the warm liquid stock (to make the jelly – see this Pork Stock & Jelly Recipe) into the steam hole in the pie lid using a funnel – until the liquid comes to the top. Place the pie, still tied in the baking parchment, on a plate and put it in the fridge until the jelly has settled, then repeat once more. 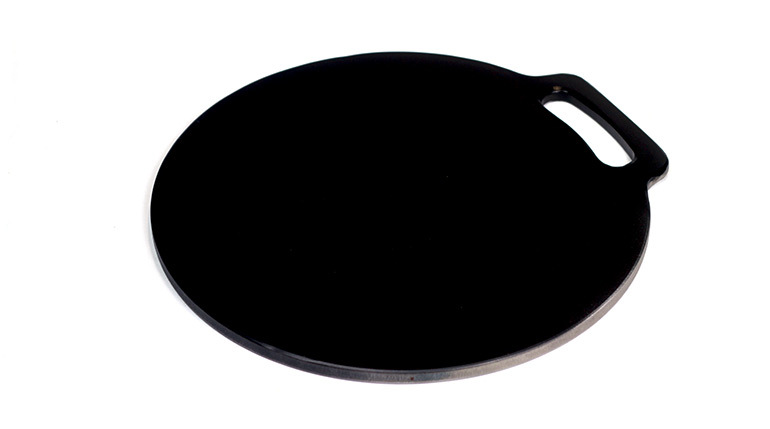 Depending on how much of a gap there is under the pie lid you will use more or less of the stock. Leave the pie covered to set in the fridge overnight. The next day take the pie out of the baking parchment and serve the pie, cutting it into thick slices.